NEW 4 BR, 3 BA, Jasper In-Town Living. Spacious, open kitchen/GR floor plan. 3 Ba, 2 Ba main, downstairs 4th large Br, full bath, full bsmt. Granite countertops, white cabinets in kitchen, bathrooms. Kitchen: SS self cleaning oven, microwave, dishwasher, disposal. GR Cathedral Ceiling, fireplace, deck. Floors: hardwood main, tile bathrooms, BRs plush carpet. 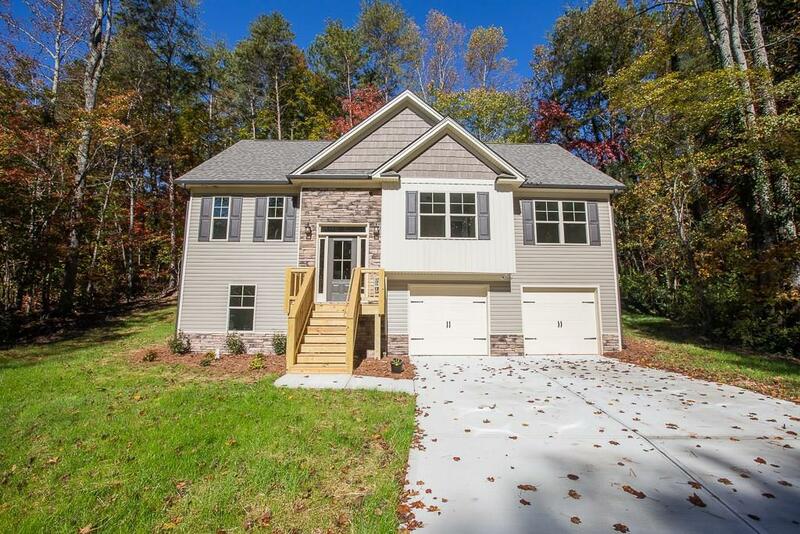 Master: BR trey Ceiling, walk-in closet; Bath, vaulted, soaking tub, tile shower. 30 year arch shingles roof. Wooded,cul de sac lot. Underground utilities. Features not usually avail in this price range. Directions: Near Burnt Mountain Road, Cove Road Intersection. Across From Chattahoochee College. From 515/53 Intersection, Right On East Main Street, Left On Burnt Mountain Road, Right On Magnolia Station, Home Located In Cul De Sac.